NFL Seau Concussion “Holy Grail” of Lies and Stupidity! – Dr. Turi M.D.U.S. NFL Seau Concussion “Holy Grail” of Lies and Stupidity! Even though the results of this research are unfounded the researchers did not waste time to fabricate another scientific name or “TAU” that will require costly medications in the future that will only benefit the pharmaceutical corporations , the scientists and the NFL are all whoring around in the same dirty bed. DT Rebuttal: But the reader must remember they are currently doing the same type of researches on defrosted brains such as the one of Adam Lanza and if they can prove he once fell on his head they will have found the key for his criminal behavior, and if they don’t they will, in the secret of their laboratories “find” TAU or make up another gene. This is the best one so far, CTE can only be diagnosed after the soul’s demise? Doing so guarantee the idiocy of those cosmic unconscious educated heads who can only miss the forest for the tree… It is indeed a great cover up for their inability to present you with the real reasons behind all suicides. But if any sportsman visit them they will undoubtedly start the same antidepressant regiment prescribed to Seau! 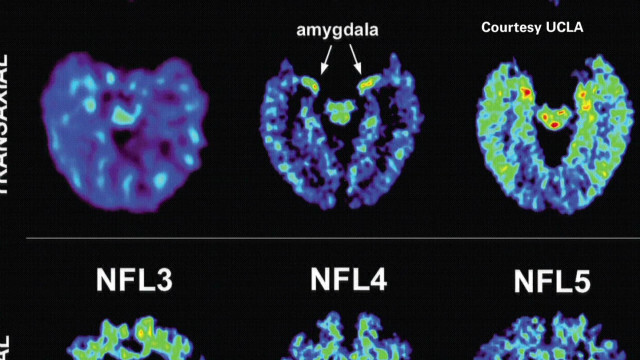 Continued – Los Angeles (CNN) — An insidious, microscopic protein that has been found in the brain tissue of professional football players after death may now be detectable in living people by scanning their brains. Using a scan called positron emission tomography, or PET — typically used to measure nascent Alzheimer’s disease — researchers injected the players with a radioactive marker that travels through the body, crosses the blood-brain barrier and latches on to tau. Then, the NFL retirees had their brains scanned. “We found (the tau) in their brains, it lit up,” said Dr. Gary Small, professor of psychiatry at the Semel Institute for Neuroscience and Human Behavior at UCLA and lead author of the study, published Tuesday in the American Journal of Geriatric Psychiatry. CTE is the disease that most likely played a role in the deaths of former NFL players like Dave Duerson, Ray Easterling, Shane Dronett, and Junior Seau. What has stymied researchers for years is that tau can only be uncovered after death. Finding it in living players is considered by many researchers to be the “holy grail” of concussion research, according to Bailes. DT Rebuttal; More study is needed to confirm the findings translate into more millions is needed to confirm the findings because $30 million in grant money is not enough… Secondly if someone got his head beaten to death its Mohammad Ali and all the MMA full contact sports boxing celebrities and those guys do not use protective HELMETS! But is it because the MMA is not yet whoring around with science and the pharmaceutical corporations? Come on readers this deceptive financial oriented politic has nothing to do with NFL players suffering fabricated brain diseases, but Dr. Turi is not allowed to reach the media with the truth remember? The research provides the beginnings of an answer, according to Bailes and Small. But the study is tiny, and poses looming questions. “This is a very exciting but preliminary study,” said Robert Stern, co-founder of the Center for the Study of Traumatic Encephalopathy at the Boston University School of Medicine. “The researchers did what so many of us have been wanting to do for the last couple of years. 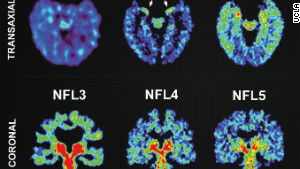 “The problem is that the type of PET scan they used is really not specific to what we’re looking at with chronic traumatic encephalopathy.” The marker used in the PET scan — the one that binds to tau — is called FDDNP. The problem with using that marker, said Stern, is that it is not specific enough. It binds not just to tau, but also to another protein called beta amyloid, which is commonly seen in Alzheimer’s disease patients. Muhammad Ali hospitalized – Once this Dragon reach him in 2016, he will be a matter of time for him to suffer one of my “Famous Death” SOS to the world deadly window and be called back to God. 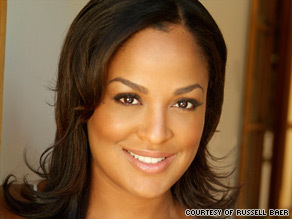 Laila Ali (born December 30, 1977 in Miami Beach, Florida) is a professional boxer. She is the daughter of boxing legend Muhammad Ali and his third wife Veronica Porsche Ali. She was their second child and is the most famous of the nine children born to Muhammad Ali. Muhammad Ali is one of the world’s best-known sportsmen … instantly recognizable for his gift of the gab, as much as his fancy footwork and phantom punch. His life story transcends boxing and his ongoing struggle with Parkinson’s disease raises troubling questions about boxing’s safety. But to my knowledge certain souls are “programmed” to suffer certain diseases regardless of their professional endeavors. I know a few old ladies who like Mohammad Ali suffered Alzheimer and never made it to the ring…How ridiculous! When one of his daughters chose to box, she became a new reason for the media spotlight to focus on women and the sport. First let me inform you that born with the Dragon’s Tail in Pisces *religion in his 3rd house, like ALL Capricorn Ali is prone to mental addictions, not only to religious poisoning. Once this Dragon reach him in 2015, he will be a matter of time for him to called back to God. Like Rush Limbaugh, Mel Gibson and Joshua Aaron also born in January and prone to chemical poisoning. In the case of Mohammad Ali his negative Pisces Dragon’s Tail position plaguing his mind induces or predispose his unlucky owner to Parkinson’s disease. Thus the beating he received during his career is NOT the main reason for Ali’s ailment but what today’s traditionally educated cosmic unconscious doctors kids who knows nothing of The Cosmic Code’s jurisdictions and Astropsychology methodology. Furthermore his daughter Laila Ali (born December 30, 1977) is not into boxing because of her dad’s wishes but because her masculine UCI dictated her to follow and use her dad’s footsteps. Laila was born with a Dragon’s Tail in the competitive masculine, aggressive sign of Aries *the fighter. She is both Sagittarius and Capricorn and like her dad she did things bigger than life with lucky Jupiter as a ruler. Meantime like her Capricorn dad she has also the 6th house of work and health in the sign of Gemini *the hands, the speed, and the gift of the gab to sale anything from herself to nails. Remember Aries rules construction material and she once sold nails… Her Saturn *fear and career is located in the health fanatic sign of Virgo and her commitment to the children is from her hidden Dragon located in the sign of Leo *fame/children/ego. Note I was born with the Dragon’s Head *positive in Aries in my 3rd house of communication/critical thinking – thus I am a relentless mental warrior breaching the impossible on the human psyche secretively educating the scientific community! Mars, the Lord of war/fight happens to be very close to her Mars, ruler of her Aries Dragon’s Tail in and represents much of Laila past lives as a male warrior. Et voila how anyone can easily and accurately translate any celebrity UCI *or Unique Celestial Identity accurately and the reason why they do what they do. My book “The Power of the Dragon” has all the secrets revealed but armed with such a rare and real wisdom forces science to stop whoring around and be truthful to the fact they know nothing of spiritual conception the human mind. The wisdom I possess is REAL, unarguable and unchallenged and should be mandatory in all our colleges and Universities and accepted as a solid real discipline. My Book “The Power of the Dragon” is indeed a supreme wealth of information for anyone’s interested in the discovery of their own natal Dragon and will divulge much more than what today infantile science could ever teach you. 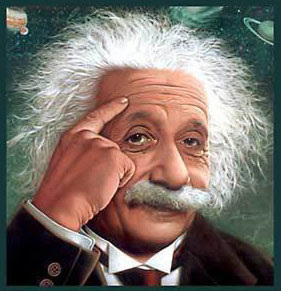 The only problem is I am only 50 years or so ahead of time of science not yet ready for my wisdom. Are you? It’s the location of the protein that is important, Small said. In Alzheimer’s disease, tau is typically found in the outer part of the brain, called the cortex. “It’s different from Alzheimer’s,” said Small, director of the UCLA Longevity Center, adding that he found tau in deeper structures of the brain. When tau lodges into those deep brain structures — for example, the amygdala, which is associated with rage and other emotions, or the hippocampus, a seat of memory — it causes major disruptions to those areas. DT Rebuttal: Do you really believe amygdala are responsible for rage and emotions? I had my amygdala removed when I was 11 years old and since then, during my wild days, my fiery, aggressive Aries Dragon’s Head helped me kick a few asses… I wonder how many people who had this surgery became zombies and could never become choleric or emotional…This is totally insane and ridiculous, MARS ( the Lord of war) regulate aggression while the Moon regulates human emotions! OMG those kids needs me so bad to build cosmic consciousness and start looking into the Universal Mind away from their microscopes to find real answers … Its amazing how far the new scientists have removed themselves from the spirit and God’s celestial divinity! “No problem can ever be solved from the same level of consciousness that created it.” If we are to put an end to the insanity that has a death grip on our collective sensibilities, then we all need to move to a higher level of consciousness! But a good chunk of this crowd of cosmic unconscious educated morons truly THINKS they know better than Einstein himself! That disruption may be related to depression, memory problems and suicidal behavior common in cases of CTE studied thus far — not just in retired NFL players, but in athletes in other sports and members of the military. DT Rebuttal: Remember MARS regulates the Army, Navy, dangerous sports, weaponry. Germany and if the soul own (like Mohammad Ali daughter) a strong Aries or Mars position, the attraction to violent sports, accidents even violent death is already written in their natal UCI or their karmic stars! Continued: The hope among the study’s authors is that a diagnostic brain scan might one day detect burgeoning CTE in all sorts of people who suffer concussions. But the current study is drawing some skepticism, doubts that likely will not ebb until future research examines a larger study group. Continued: “Sometimes I wish (study authors) would hang on and wait until they have a more meaningful sample size,” said Kevin Guskiewicz, a concussion expert and director of the Center for the Study of Retired Athletes at the University of North Carolina at Chapel Hill. “I think that then people would be less skeptical of the findings.” Still, Guzkiewicz is encouraged by the study results. DT Rebuttal: Still, Guzkiewicz is encouraged by the ample millions of dollar donations and yet another wasteful study results! Like all experts, those who are supposed to know the best in their field are the least knowledgeable and all you have is ridiculous scientific assumptions. Only time will prove me right and may be then I will get the Nobel Price for challenging the “experts” findings and exposing their humongous stupidity and cosmic ignorance! DT Rebuttal: ” I am totally against trying to build on studies like this so we could finally stop wasting time and precious tax dollars to enrich and support all those morons’ lifestyle. The fact is its never too late for the scientific community to dig into Astropsychology, specifically my “desiccation” work on the human UCI or Unique Celestial Identity and recognize the “signs” predisposing all human beings to those ailments and specific careers endeavors. Those insignificant cosmic unconscious scientists are millions miles away from finding the answers of what it means to be human! But rest assured in their spiritual educated mental pride they already know better than all those erudite men who practiced the ancient art daily like Dr. Turi does! Plato – Philosopher – Albert Einstein – Physicist – Ralph Waldo Emerson – Poet – JP Morgan – First Billionaire – Robert Heinlein – Best-selling Author – Hippocrates- Father of Medicine – Paracelsus Mental genius- DH Lawrence – Author – Louis Pasteur – Scientist – Pythagoras – Mathematician – Benjamin Franklin – A Founding Father of America – Donald Reagan – Formerly Ronald Reagan’s Chief of Staff – Raymond Domenech, French soccer coach – Author Paul Kiritsis – and of course Dr. Turi and all his Astropsychology students used the stars! DT Rebuttal: No readers, it is not the perfect “Holly Grail” far from it because it is not with a microscope that a “Holly” answer can be found! It is with the essence of the spirit itself only that those kids will get the answers God has enslaved everyone of them to come up with…And in the process realize their own mental/psychical limitation. The main reason for realizing “CTE or TAU” can only be diagnosed after death can easily be explained…Think of what the human mind is all about, a sophisticated computer made up blood and flesh reacting to an outside stimuli produced by the Universal Mind, I classified as “Dark Matter” for the cosmic unconscious scientists! Now imagine an old computer that has been through a few “accidents”in your office, chances are some of the components will be either broken or suffer the consequences of falling from your desk! I have to use very simple terms to educate not only my readers but also the scientific community of the obvious they can not yet perceive because of their own latent, non spiritual, underdeveloped inborn logical UCI! And this being said honestly I don’t think stating the facts in this manner will bring me their stewardship but it is only when you make people really think HARD they will hate you. With their silence and refusal to help me, my Internet “Dark List” made up so many mental influential doctors experts reflects not only their spiritual pride but how really lost they all are… But I still refuse to believe all of them are born morons and will stay morons all their existence….But why don’t they connect with Dr. Turi? Then, they are Accepted as Self-Evident! YES DR. TURI WE KNOW BETTER THAN THOSE COSMIC UNCONSCIOUS EDUCATED KIDS! Previous post: $16,451,165,732,832,41 AND COUNTING! Next post: Cyber/Nuke attack on the US only a matter of time!